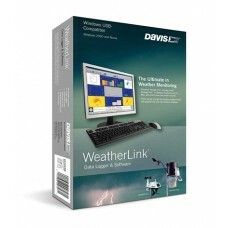 For the ultimate in weather monitoring, add WeatherLink to your Vantage Pro or Vantage Pro2. 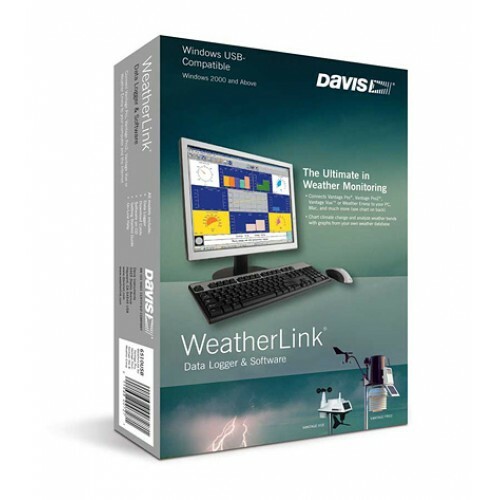 The data logger fits neatly into the weather station console or Weather Envoy, storing weather data even when it’s not connected to your PC. Later, download the data and use the software to create graphs, generate summaries, and more. Choose a logging interval of 1, 5, 10, 15, 30, 60, or 120 minutes. Depending on the logging interval, store up to six months of data before downloading. • See current conditions at a glance with an instant weather bulletin. Graph data on a daily, weekly, or yearly basis. • View multiple weather variables at the same time for comparison. • View special reports on heating degree days, cooling degree days, and fuel-oil demand. • With optional sensors, see reports on evapotranspiration, leaf wetness, soil moisture, soil temperature, sunburn risk for each skin type, and solar energy.